Cincinnati Subaru Service and Repair - Don's Auto Repair Inc.
Subaru vehicles are known for their outstanding performance and reliability. If you own a Subaru, you understand that you can’t trust just any auto repair shop to handle your vehicle. 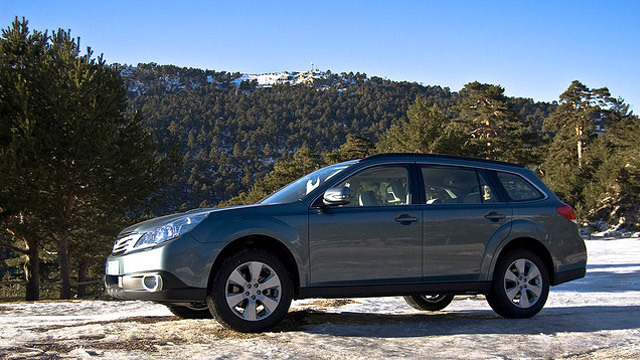 At Don’s Auto Repair in Cincinnati, OH, we are the experts when it comes to Subaru. Our ASE certified technicians work on all makes and models of vehicles and can assist with any repair or service that your vehicle may need. Whether you own a Forester, Impreza, Crosstrek, or Legacy, our professionals are here to help! If you expect your Subaru to last you for years to come, it is important to stay current with your vehicle’s recommended services and repairs. Proper vehicle maintenance will not only ensure your safety on the road, but will also help you save money over time by avoiding costly repairs and breakdowns that can be caused by poor upkeep. Our experts help guide you in proper maintenance and remind you of when upcoming services are due. If you’re experiencing an issue with your Subaru or the check engine light has turned on, don’t hesitate to stop by our shop or give us a call today. Our Cincinnati auto repair shop uses top of the line diagnostic tools and equipment to repair your vehicle correctly the first time around. We also take the time to discuss any of our recommendations with you and provide an estimate of all work for approval beforehand. If you’re looking for professional and honest Subaru repairs and services, bring your vehicle into the experts here at Don’s Auto Repair.